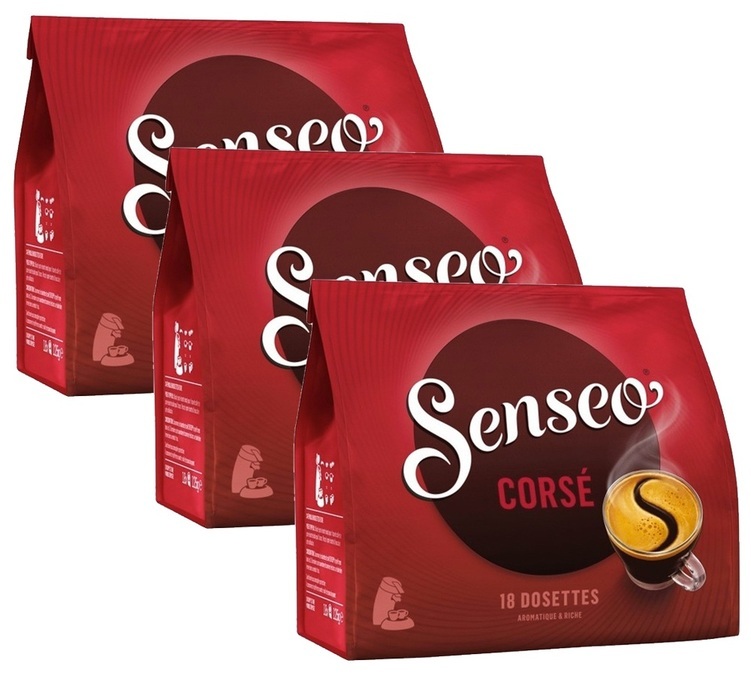 Senseo "Corsé" Strong coffee pads for Senseo machines. An Arabica/Robusta blend releasing a rich and intense aroma, covered by a delicate crema. 3 packs of 18 pads. Today, the Philips company, founded in 1891 in the Netherlands, is a large company specialising in household appliances. After taking over the famous company Saeco (espresso and cappuccino coffee machine manufacturers) in the 2000s and, thanks to the success of their Senseo coffee machines, Philips is now considered a key player in the coffee machine manufacturing sector.